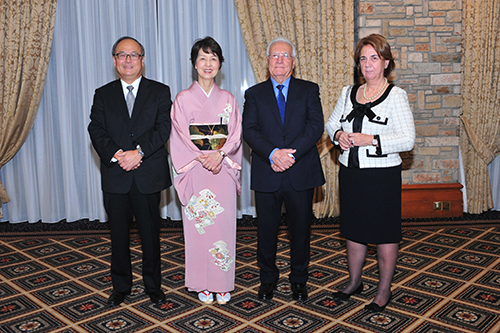 Andreas Neocleous, chairman of our firm, is the Honorary Consul-General of Japan in Limassol and on 3 December this year he joined Mr Mashiko Nishibayashi, the Ambassador of Japan in Greece, to host the annual reception for the Birthday of His Majesty The Emperor of Japan at the Hilton hotel in Nicosia. 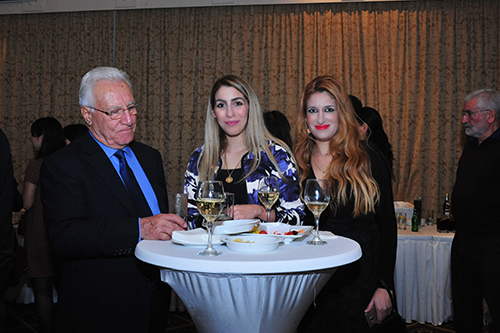 The reception was attended by more than 120 participants, including leading politicians and business people, ambassadors and representatives of other overseas countries. 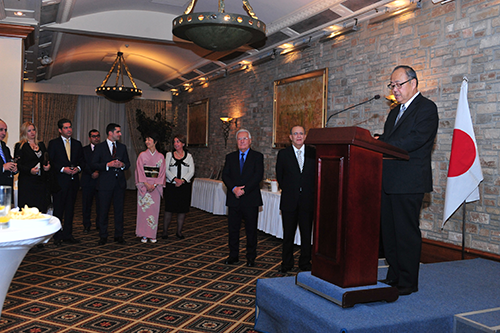 In his speech welcoming the guests Mr Nishibayashi endorsed the long-established ties that unite Japan and Cyprus. 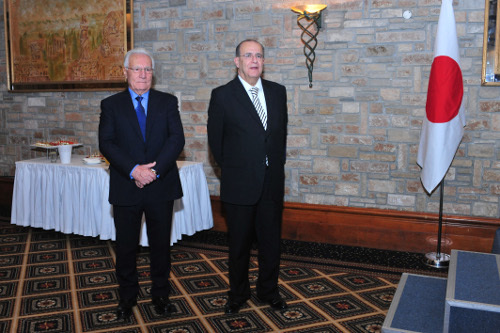 He particularly praised Cyprus for its economic recovery and for maintaining its commitment to development and prosperity. 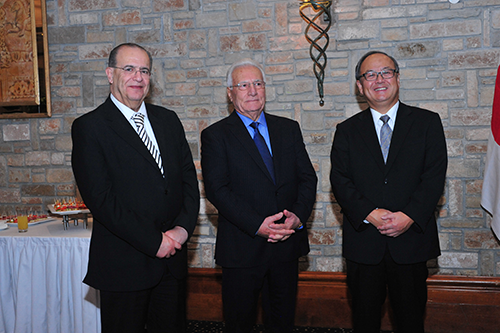 Mr Ioannides Kasoulides, Minister of Foreign Affairs of the Republic of Cyprus, responded, noting that his recent visit to Japan further strengthened relations between the two countries and their common vision for world development, including the fight against terrorism. In his address Mr Neocleous underlined the importance of trading relations between Japan and the European Union and welcomed the recent initiatives such as the Japan-EU Free Trade Agreement negotiations that will further improve collaboration and investment. Mr. Neocleous stressed the importance of mutual actions in research and technology, education, ICT and health and mentioned that both the EU and Japan have identified these areas as main pillars for development and advanced growth. We should like to extend our sincere thanks to the Embassy of Japan in Athens for its excellent cooperation and we look forward to the next reception in a year’s time.